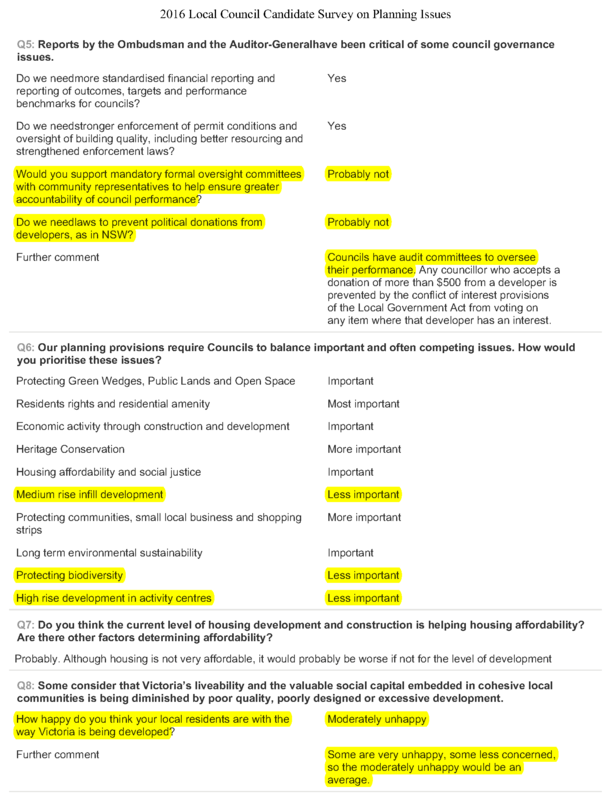 Once councillor nominations closed across the state, Save Our Suburbs sent out a survey to all candidates. 10 candidates from Glen Eira responded. 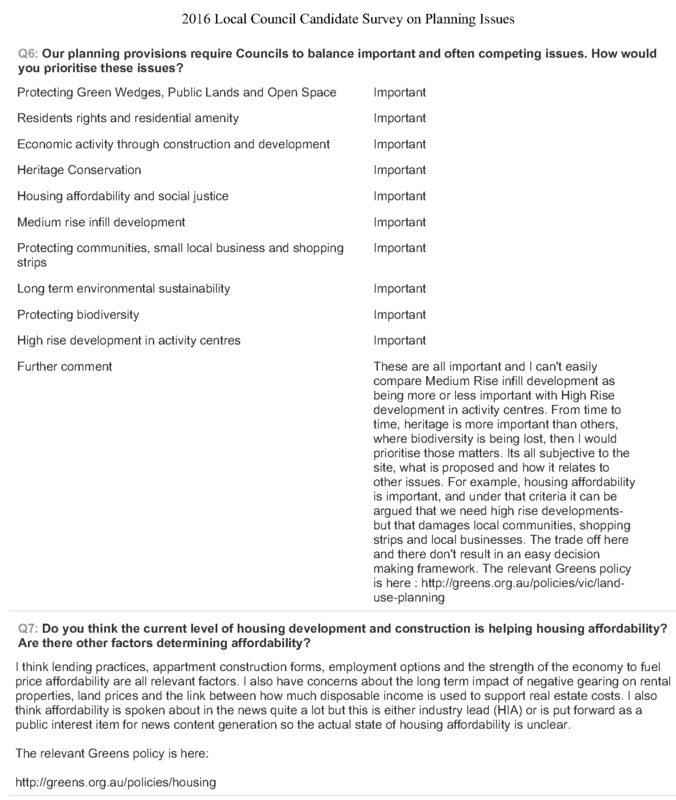 The questions and the survey responses are available on the SOS website. We wish to highlight the responses made by two incumbents – Sounness and Hyams. Please make your judgements! 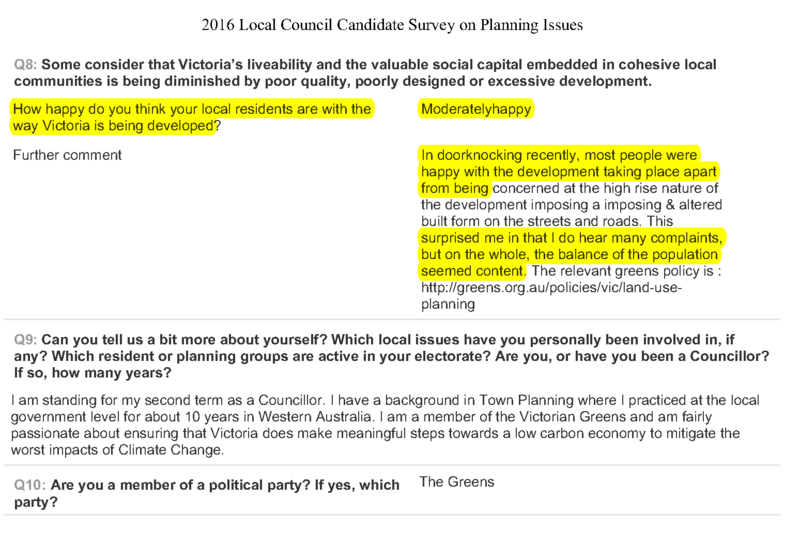 PS – AND HERE’S DON DUNSTAN’S VIEWS! Any assessment of Jamie Hyams only needs to consider previous performance. He has no interest in representing the community. I cannot believe Sounness comments. 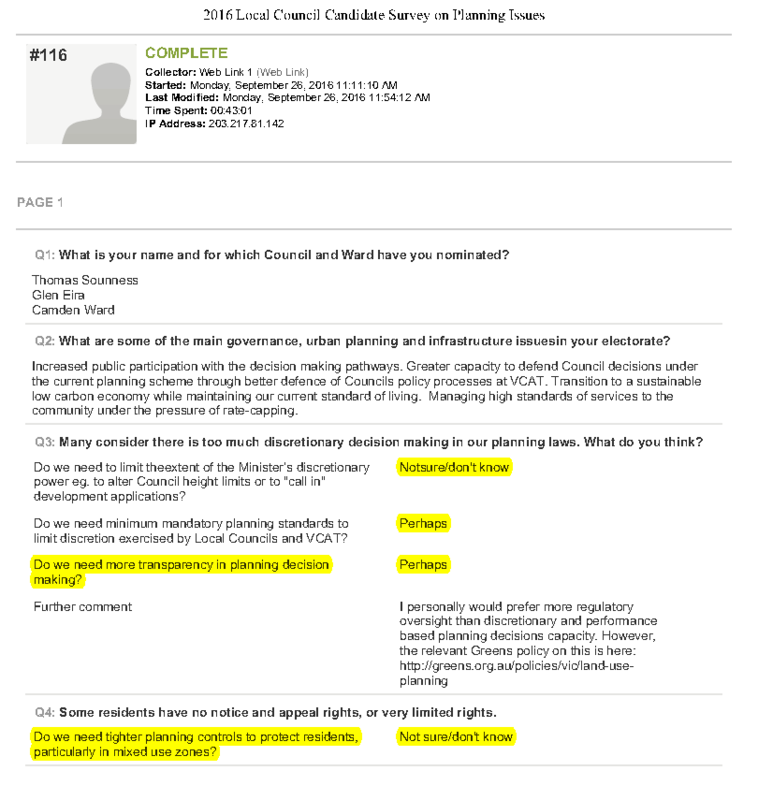 He’s been on council for 4 years plus calling himself a planner. 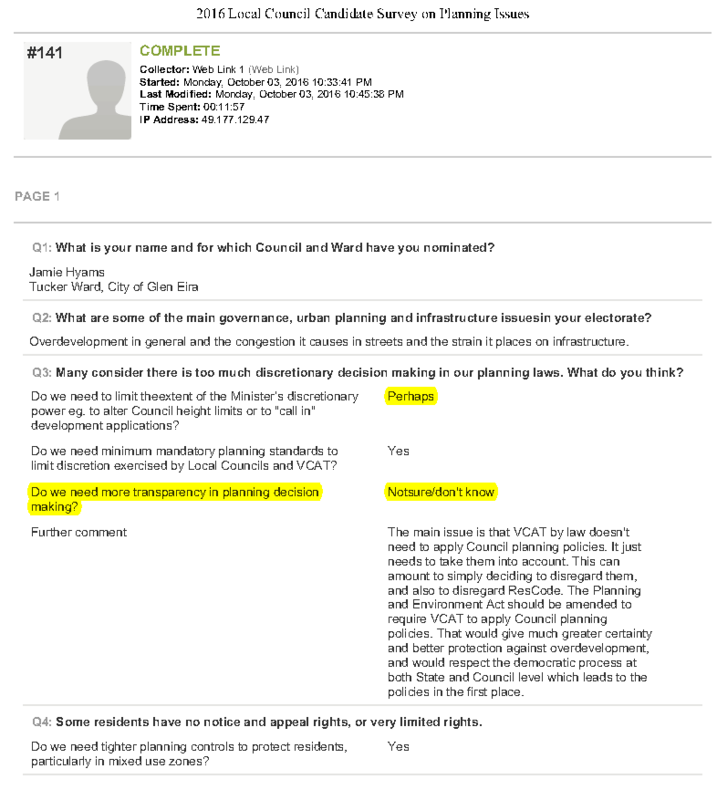 If he doesn’t know that tighter planning controls are needed then what on earth has he been doing on council. Hyams gives himself away completely with his probably not on community involvement and developer contributions. How anyone can serve the people with this philosophy is plain mind boggling. We hadn’t noticed this so thank you. This is the version that is taken directly from SOS. I’d suggest (gently) for privacy reasons these really should be edited and blurred out.